October 17, 2018 /3BL Media/ - As the private sector adopts climate disclosure standards established by the Task Force on Climate-Related Financial Disclosures (TCFD), the oil and gas industry faces increasing pressure from its investors to disclose how it is managing climate risk, including emissions of methane from oil and gas. 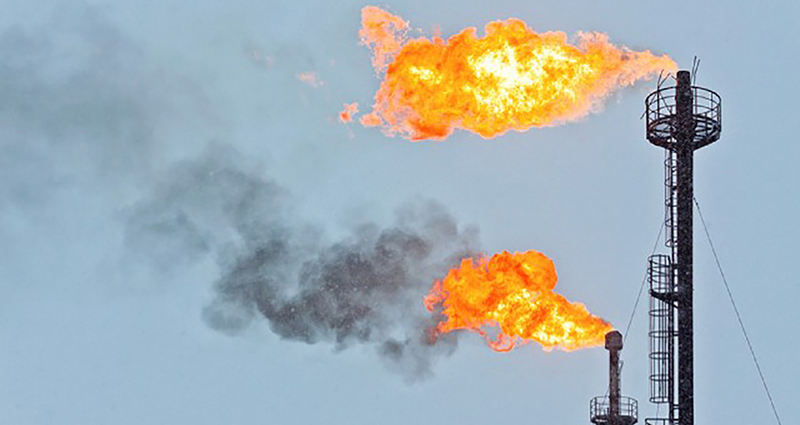 Uneven and underreported methane emissions increase material risks for investors, but new disclosure guidelines would help investors manage such risks according to Setting the Bar: Implementing the TCFD Recommendations for the Oil and Gas Industry. The new report was produced by Ceres, Environmental Defense Fund (EDF) and Principles for Responsible Investment (PRI) as a tool to help oil and gas companies and their investors to bring methane reporting in line with the TCFD framework. The TCFD is a leading global effort that seeks to provide overarching recommendations for consistent, comparable and reliable disclosure of climate-related risks and opportunities. As of September 2018, over 513 organizations have publicly supported the TCFD recommendations, including investors representing over $100 trillion, like Blackrock and Legal & General, and major oil and gas companies, like Equinor and Shell. TCFD recommends that oil and gas companies communicate about methane emissions—and their material risks and opportunities—to their investors. However, as noted TCFD’s recent status report, standardization of reporting in the oil and gas industry is still needed. Methane, the primary component of natural gas, is over 80 times more powerful than carbon dioxide over a 20-year time period. The oil and gas sector is the largest industrial source of methane emissions. Global methane emissions cost the oil and gas industry an estimated $30 billion in lost product each year. "The climate risk equation is changing fast. Concerned investors are driving unprecedented action on disclosure," said EDF President Fred Krupp. "Our new report with Ceres and PRI underscores the urgent need to include methane reporting in climate risk disclosure, and provides a framework for consistent, comparable data, so investors can tell which companies are positioning themselves to thrive in a carbon-constrained world." “Momentum to decarbonize portfolios is changing the way investors interact with companies. Investors need to be addressing methane risk, which is why the PRI launched a global collaborative engagement with 36 investors from 11 countries representing US $4.2 trillion in assets under management to address methane risk and how methane management practices and reporting could be improved,” said Fiona Reynolds, CEO of the PRI. “The next great leap will come as oil and gas companies implement the TCFD recommendations on methane emissions. This new report will be a great tool for investors and companies alike,” said Michael Cappucci, Senior Vice President at Harvard Management Company. With investors increasingly asking for better disclosure around methane emissions, this report is designed to make TCFD implementation easier for investors and companies. The paper includes background on the risks and opportunities of methane and recommended disclosures across TCFD’s four-part structure: (1) governance, (2) strategy, (3) risk management and (4) metric and targets. The paper presents questions companies can answer for their investors, such as, “How is responsibility for methane allocated within the company, both at board and management level?, offers guidance on how to assess company answers, especially for complicated topics like target-setting, and provides real world examples of what reporting on these issues looks like today by leading oil and gas companies. “Methane is also a significant near-term opportunity. The good news is that we can manage what we measure in the case of methane. We know that industry could reduce global emissions by 75% using proven technologies, with nearly 50% of emissions reduced at no net cost,” said Andrew Logan, coauthor and Director at Ceres. Environmental Defense Fund is a leading international nonprofit organization, creates transformational solutions to the most serious environmental problems. EDF links science, economics, law and innovative private-sector partnerships. The Principles for Responsible Investment (PRI) is a United Nations-supported investor initiative with an international network of signatories that works to understand the investment implications of environmental, social and governance (ESG) factors and to support its international network of investor signatories in incorporating these factors into their investment and ownership decisions.